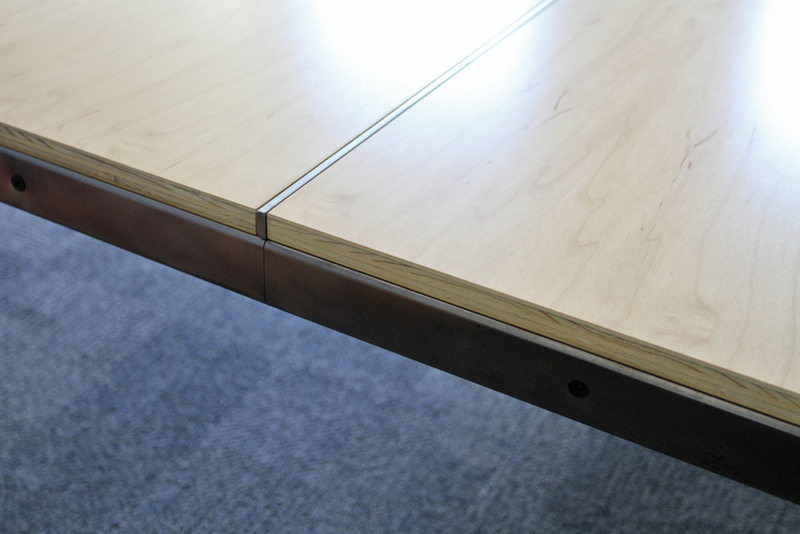 Designed and built for Stebner and Associates, a law firm in downtown San Francisco. Fairly sizable at 9 feet long x 5 feet wide with seating for 8 - 10, the table disassembles into several parts for easier transportation. Matching credenza, 8 feet wide with four overlap doors.